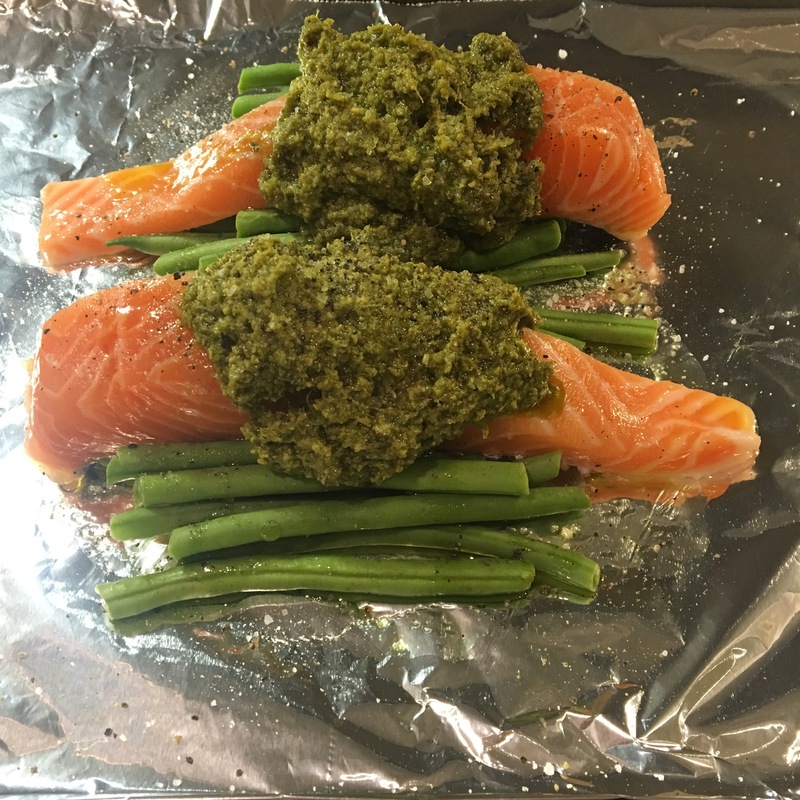 Jamie Oliver’s salmon fillets with green pesto and green beans! 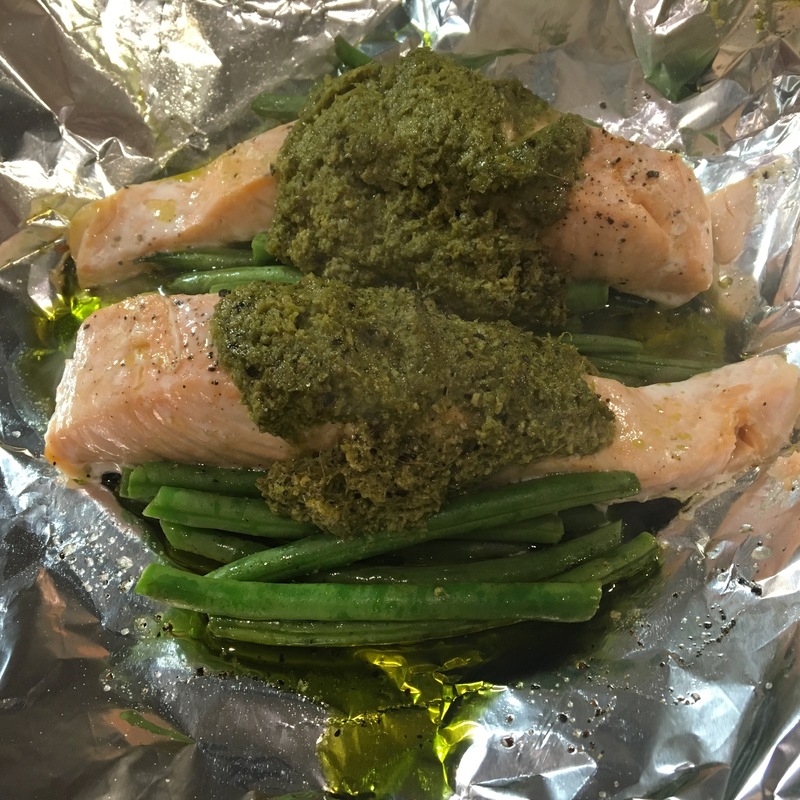 Preheat oven to 200c/400f/gas 6… Trim your beans…halve one of the lemons… Get yourself just under a metre of kitchen foil and fold it in half…put a handle of beans in the middle of the foil…lay a salmon fillet,skin down across the beans and spoon over a tablespoon of pesto… Drizzle with olive oil…squeeze the lemon over the salmon…season with salt and pepper…pull the foil together and scrunch them up to seal the parcel. Place in the oven for 15 minutes… Serve with rice, new potatoes or crusty bread. Out the oven! 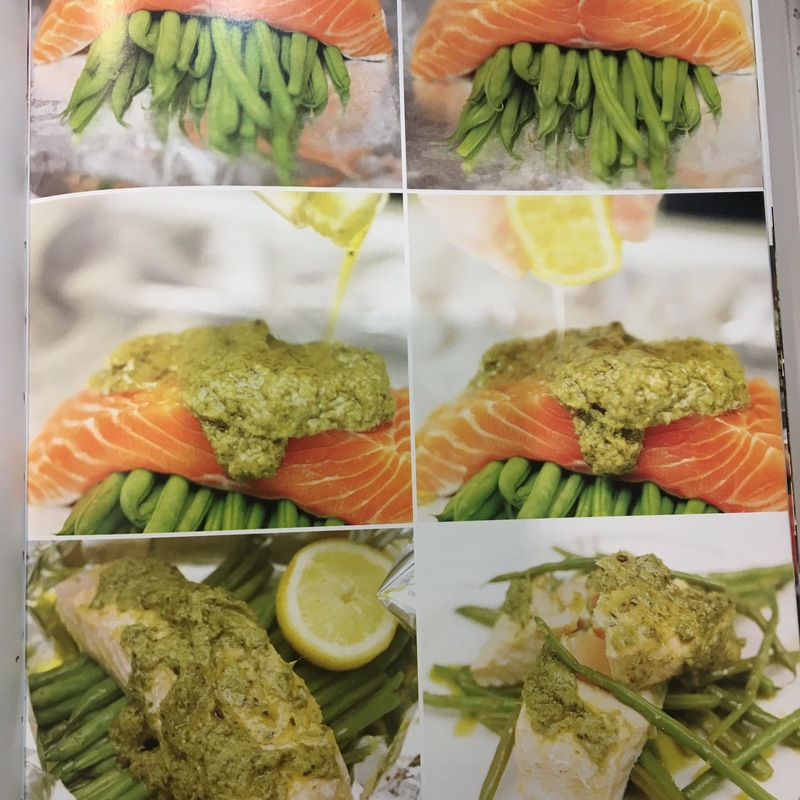 Smells delicious! This dinner, was super easy to make and tasted amazing!! For cooks even like me!